Most people will likely say that they don’t enjoy giving presentations and enjoy even less having to create them. Presentations can be a bit of a time-consuming pain, but using PowerPoint templates can be a quick and painless way to create a killer presentation that will get your message across and engage your audience. But there are many fake templates out there that can make life and building a great presentation so much harder. 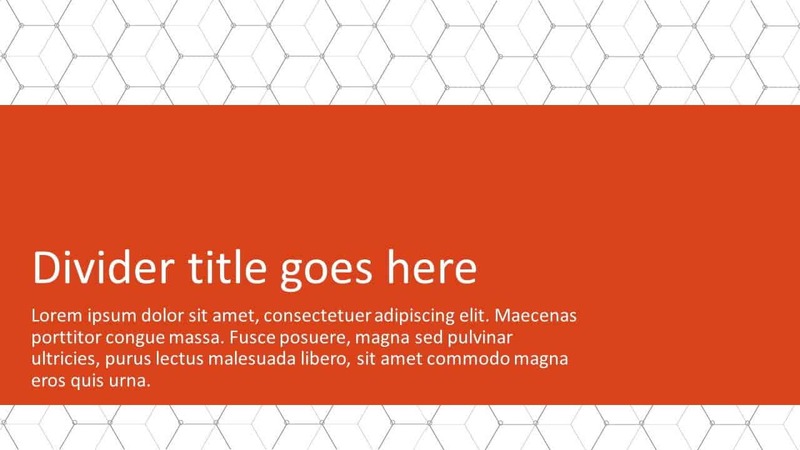 Before you continue, check out our super helpful article on what a PowerPoint template is, and more importantly, what it’s not. PowerPoint templates are a shortcut to more engaging, colorful and creative presentations. A well-designed template will not only make your slides and your overall presentation look good, but it will make the process of building those slides a lot faster. 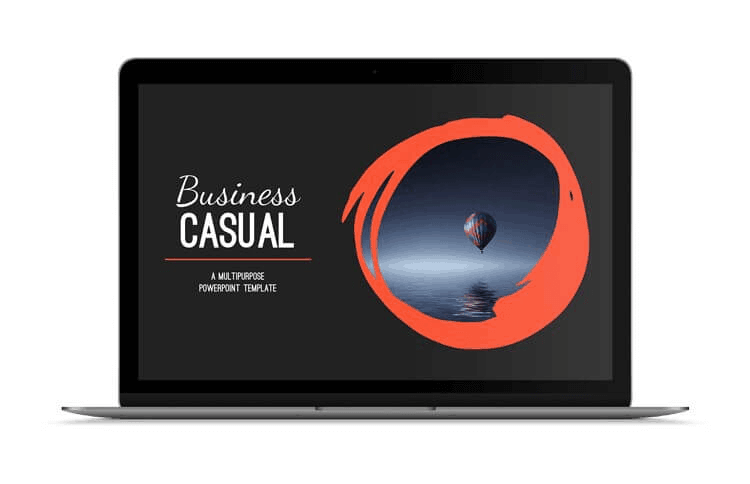 But more importantly, it makes the process of building out new presentations easier, by pre-populating all of your company information, corporate formatting, default slides, etc. On top of that, it’s going to ensure that everything stays consistent and polished, no matter how much content is added to the presentation and no matter who uses it. 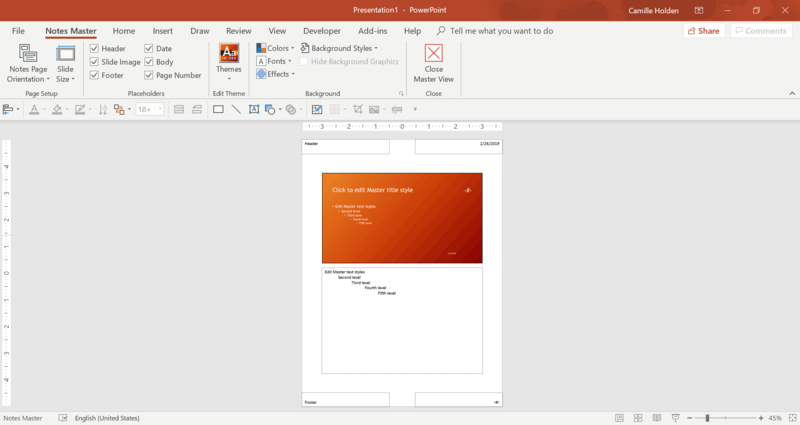 Now if you use PowerPoint daily and create a lot of presentations yourself, then I highly recommend you consider creating a custom PowerPoint template from scratch. 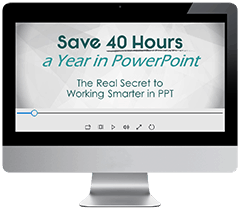 But if you don’t use PowerPoint super frequently, or don’t have the luxury of time, then the ready-made PowerPoint templates are quick and easy. 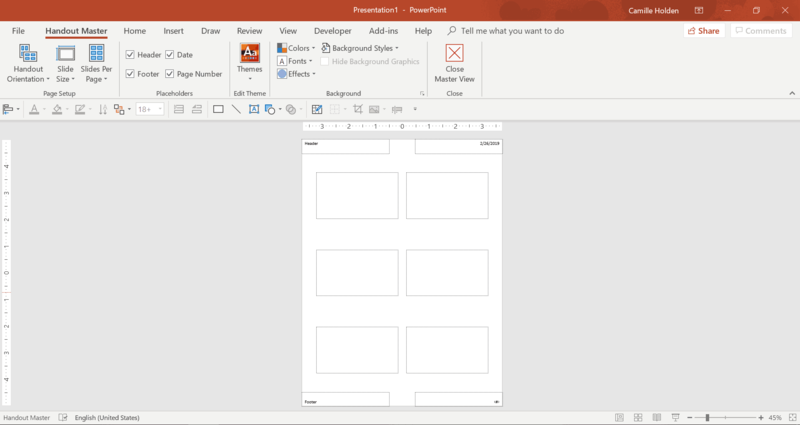 What can you use PowerPoint Templates for? 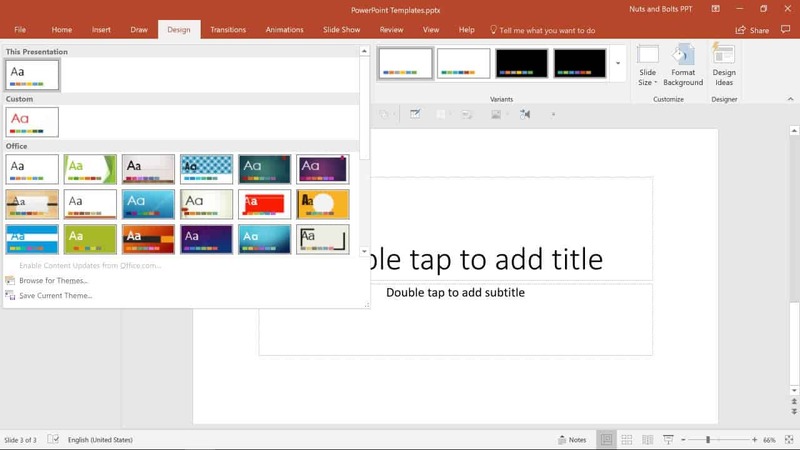 You can use PowerPoint templates, including the default Office PowerPoint templates that come with the software, to jump-start a presentation and build slides that are consistent in appearance and easy to replicate. PowerPoint templates can be used by anyone, anywhere and for multiple purposes. From the educator to the sales team, the project manager and the executive assistants, a PowerPoint template can be built to fit just about any scenario. Of course, while PowerPoint templates are very flexible, there are still limitations. They can’t please all the people, all the time, in all situations. 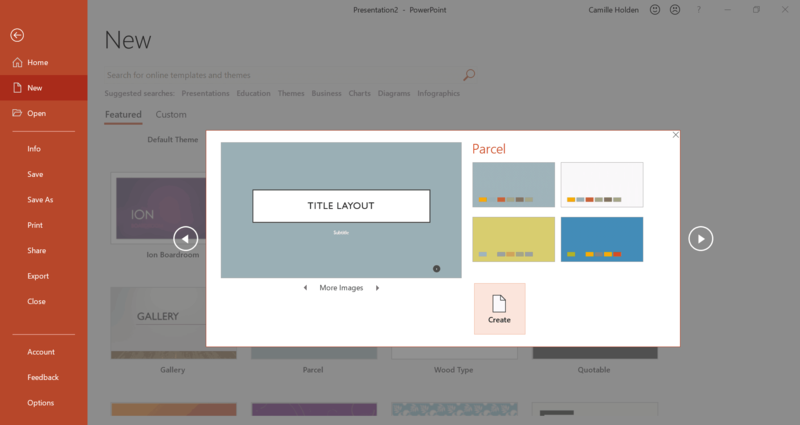 As we just mentioned, Microsoft has a library of ready-made PowerPoint templates and PowerPoint themes for you to choose from. When you open up PowerPoint, click ‘New’ and you’ll see the search bar, suggested search topics, plus a number of template options. The first step is to know what you’re talking about and do brainstorm how you will need to put that into slides. We recommend sketching out some slide layouts onto a piece of paper to get a sense of the overall design. You should also consider brainstorming on the look & feel you want your presentation to have. That would include things like the fonts, colors and backgrounds. 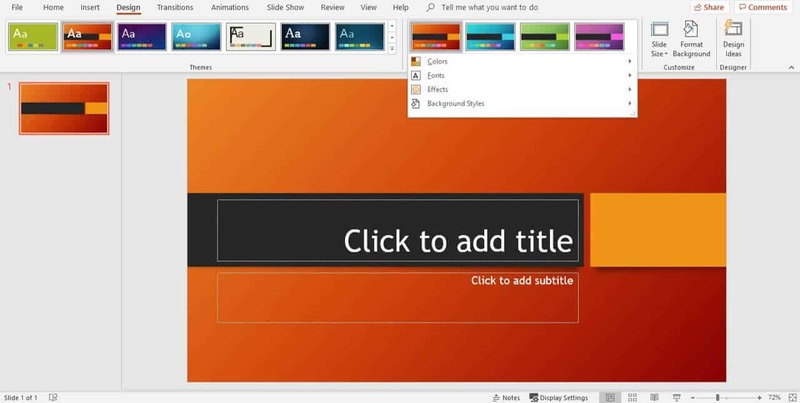 Now it’s time to pick or create your own PowerPoint template. Some PowerPoint templates work better for different types of presentations. Was the template built properly in the Slide Master (otherwise, it’s a ‘fake template’)? Is the template using the proper theme elements (fonts, colors, etc.)? 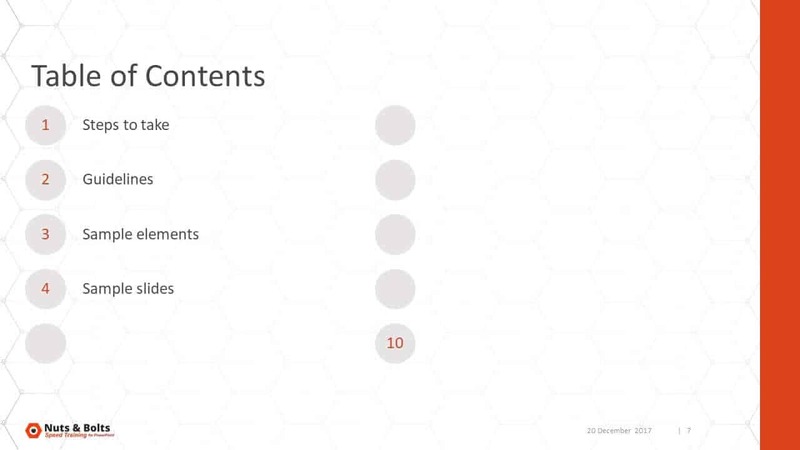 Does it have suitable slides for your titles, content sections, a mix of image slides, text-only and mixed media slides? 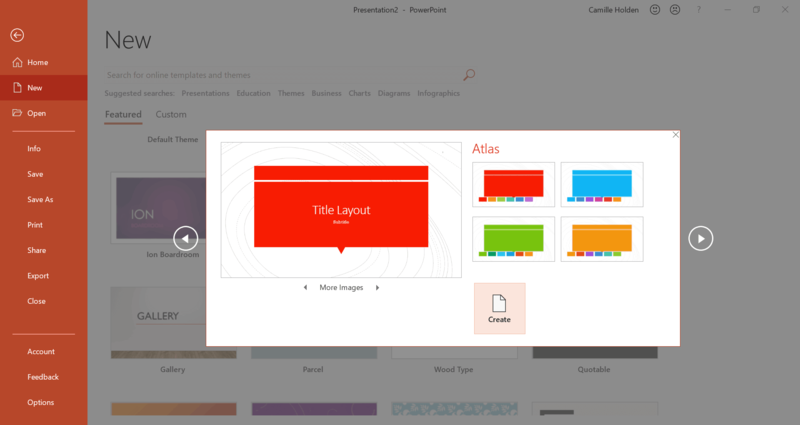 Does the PowerPoint template match your branding, theme, or topic? For more tips, check out our article on the 10 PowerPoint template mistakes to avoid. 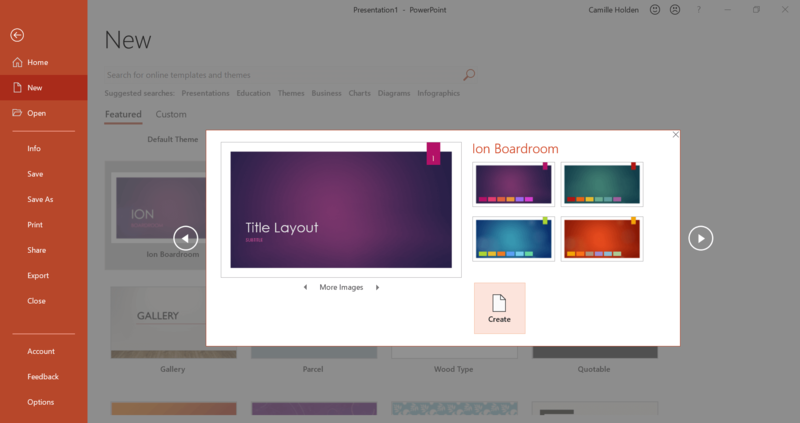 Whether you choose from ready-made ones or build your own, you should choose a Powerpoint theme that features your brand colors. 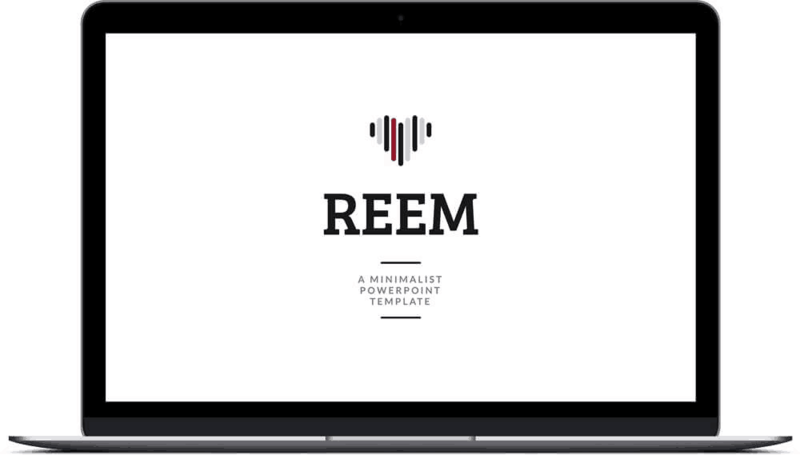 Check out the Reem PowerPoint Template by SlideCow. 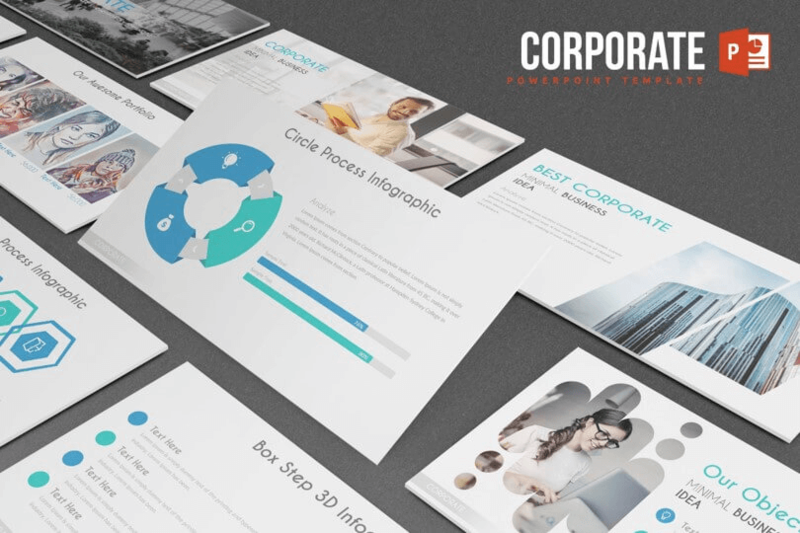 Check out the Corporate PowerPoint Template by inspiradesign. 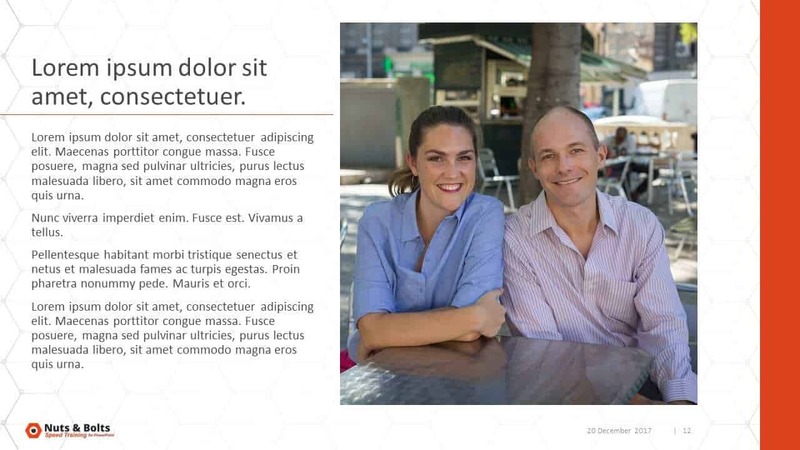 See more of our favorite ones on this article on the 3 best places for PowerPoint templates. If you’re not creating your own templates or using the ready-made Office templates, you can always consider downloading some from the web. When you download a template, make sure it’s in the .potx file format - otherwise it’s not really a template, but rather a set of similar-looking slides. 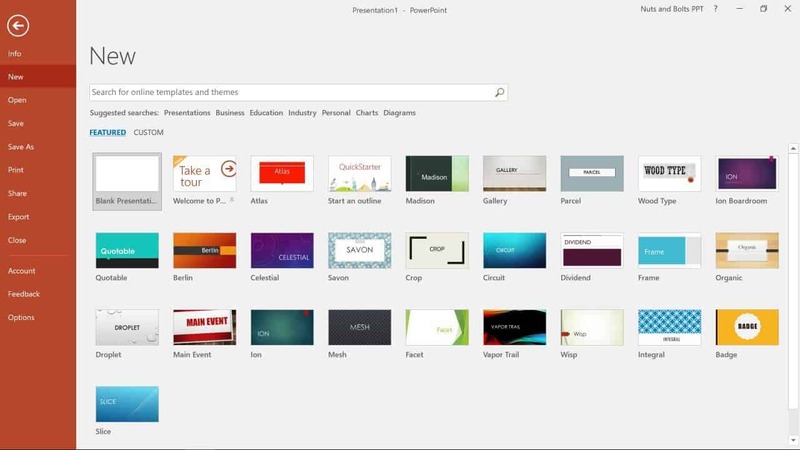 There are a number of places online you can go to download PowerPoint templates. Most of them are paid, but there are a few decent websites that offer free ones. 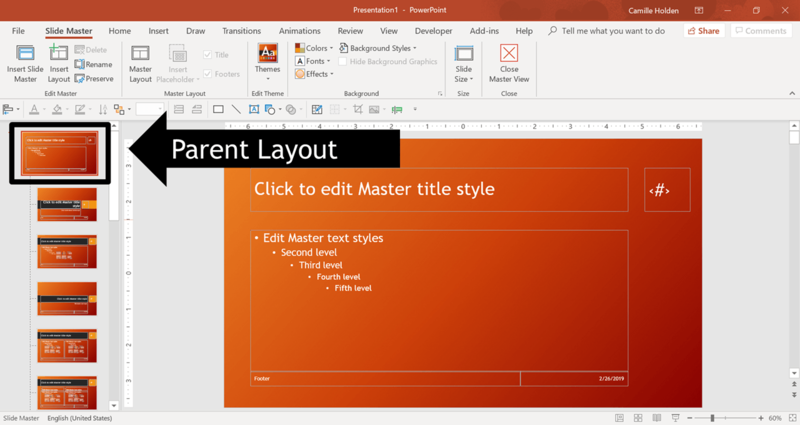 Here is a list of our favorite places to download PowerPoint templates. Check out our blog for our PowerPoint template reviews. If you use a ready-made PowerPoint template, there is a chance that it won’t be 100% exactly the way you want it. That means that you’ll have to customize it. To customize your template, you’ll want to start by adjusting the theme, including the colors and fonts. You can change those easily under the Design tab, and Variants. 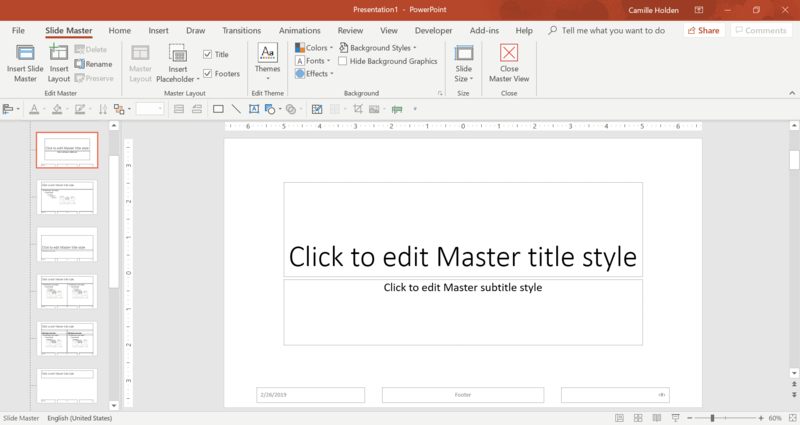 If you want to create your own custom colors and font combination, rather than choosing from the pre-built Office ones, read our article on how to create a custom PowerPoint theme. Next, you’ll want to go into the Slide Master and make changes first to the Parent Layout, so that they reflect in all of the Child Layouts. And once those are formatted, you’ll want to make sure you look at the Handout Master and the Notes Master too. Customizing your template the right way is a lot trickier than it seems, and essentially follows the same steps as creating your own custom template. So make sure that you’re careful as just one or two mistakes can ruin your template for good. 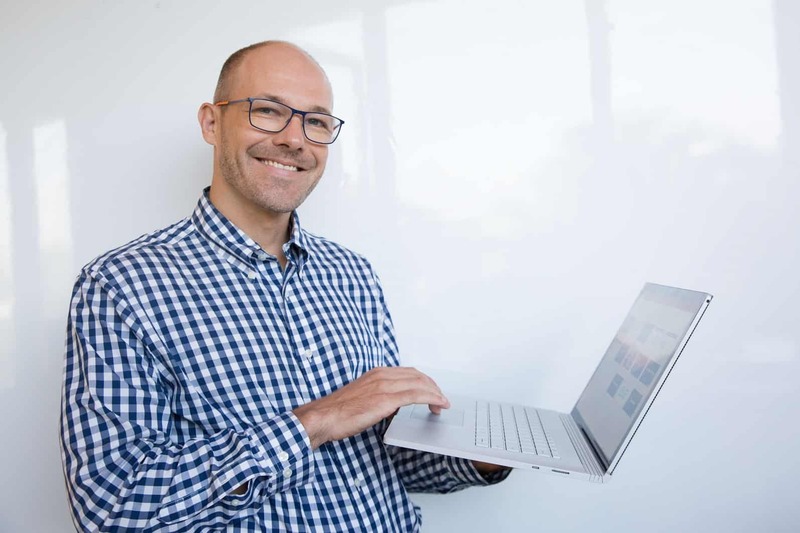 Whether they're default Microsoft PowerPoint templates or ones you downloaded from a third party site, PowerPoint templates are not as intuitive as they seem. In fact, many that you find online are misleading (they’re what we call “fake PowerPoint templates”) and a waste of your time. So make sure you know what you’re looking for in the first place. 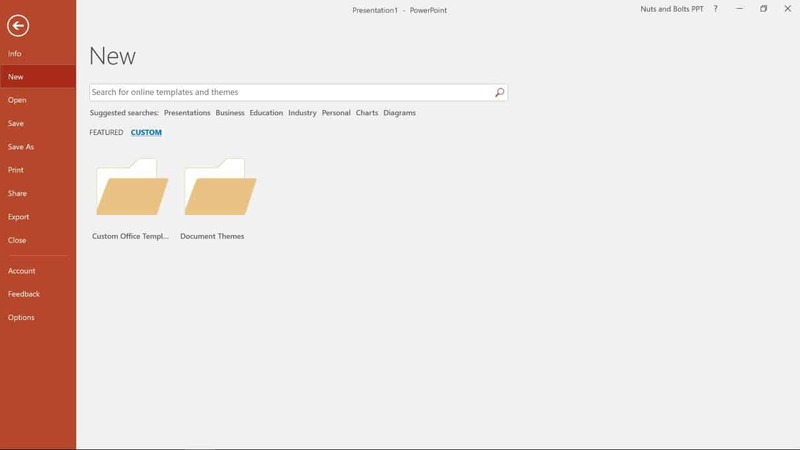 Before you download a PowerPoint template, it’s important to understand exactly what a PowerPoint template is first. 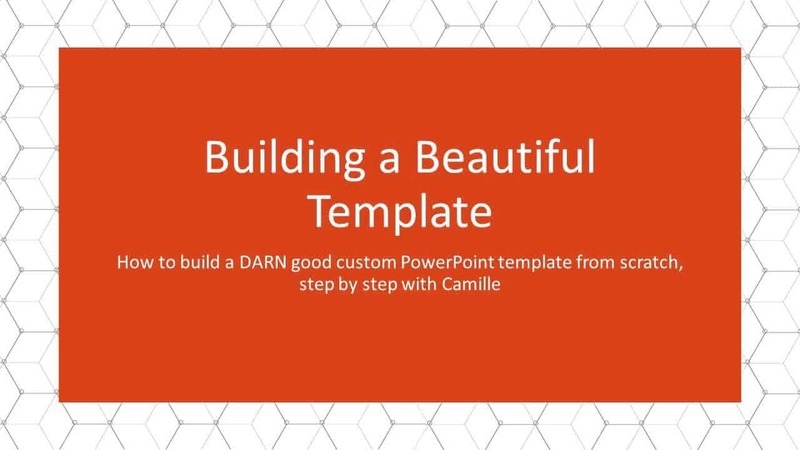 Once you know the true meaning and purpose of a template, you can download free PowerPoint templates, buy PowerPoint templates, or even learn how to make your own custom PowerPoint templates. Keep in mind that when building your own custom template, not only is there a recommended order for building templates, but there are also critical steps to take when sharing templates with others. Make sure you don’t skip those steps and end up shooting yourself in the foot. 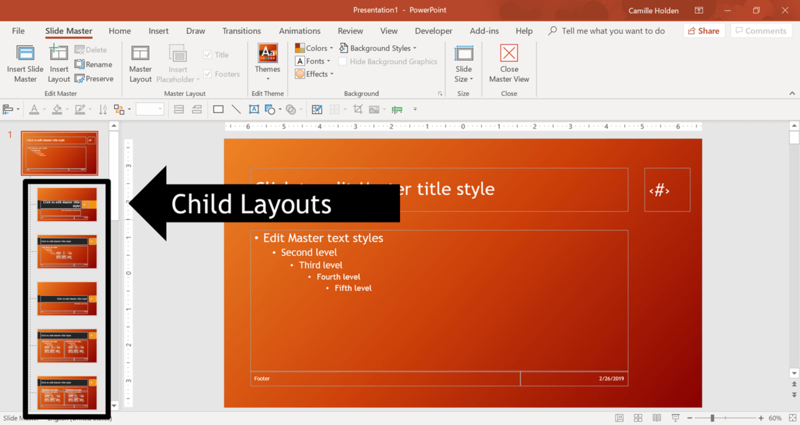 Now once you’ve got your template, you may find that it’s behaving strangely or that some things in your PowerPoint template aren’t working like they should. 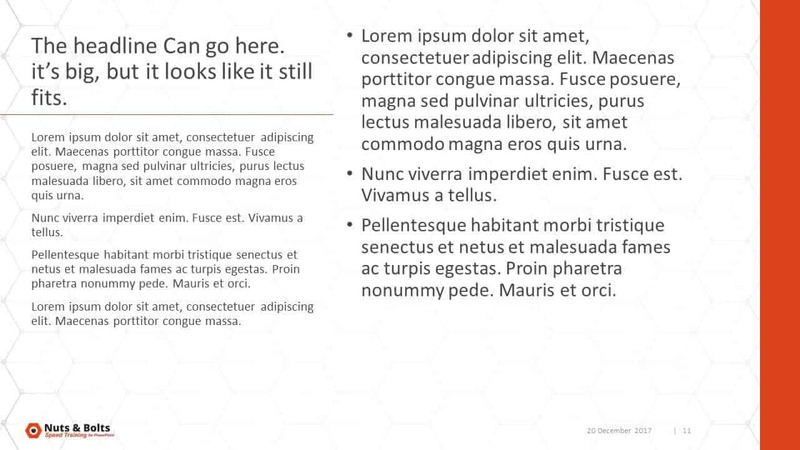 There are a few key PowerPoint template tricks to solving nagging issues that inevitably come up, such as how to make titles All Caps by default, and why you should avoid deleting layouts in the Slide Master of your template. Another thing to note about working with PowerPoint templates, is that they are often confused with PowerPoint themes and PowerPoint slide masters. While these three elements of a presentation are connected, they are all different and were designed with slightly different purposes in mind. 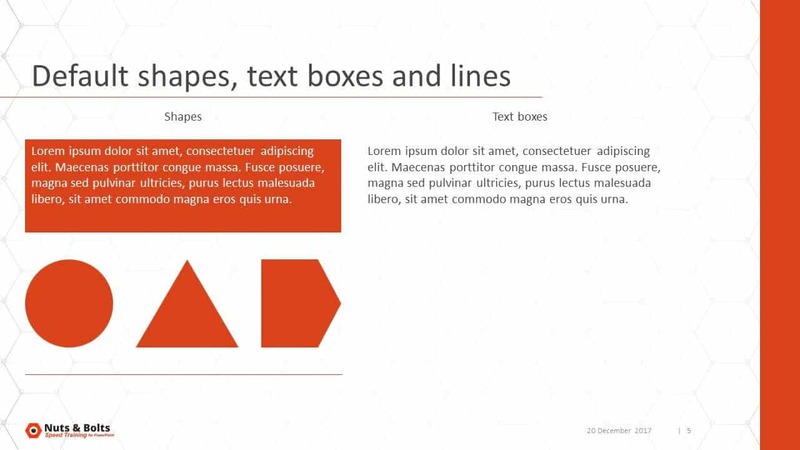 A PowerPoint template, as mentioned above, is simply a set of guidelines for the design of a set of slides - i.e. 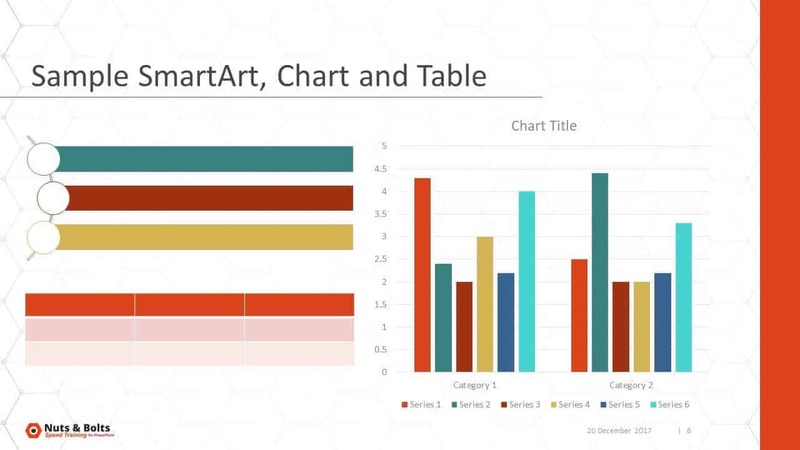 where text, charts, and images should go on each slide. 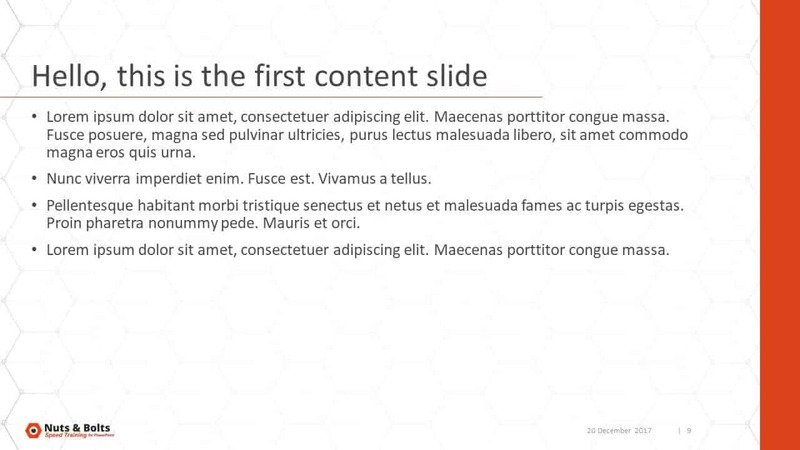 A template includes a Slide Master (or more) and a theme. So the next time you download a PowerPoint template, or build one from scratch, make sure you know exactly what it is you’re working with. Do this and you’ll be light years ahead of most PowerPoint users who have never been told about the differences.